Everyone has a collection of accessories that forever reside in their car to make driving just a little easier. My daily driver is a 1996 Toyota Camry V6 LE. It has a cassette player and an AM/FM radio for entertainment. 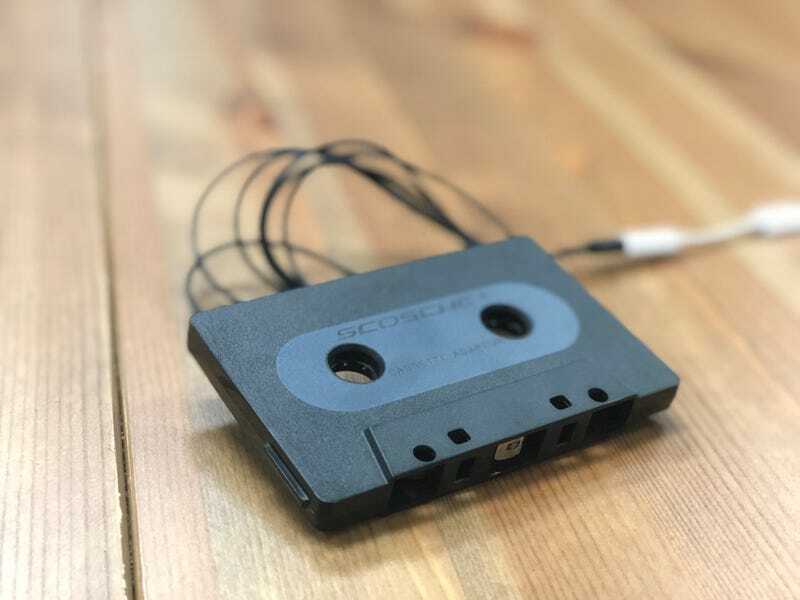 The antenna is currently missing from my car so my audio options are either silence or whatever plastic rectangle I can find to put in the cassette player. Because you can only listen to Led Zeppelin’s “In Through The Out Door” so many times, I got one of those cassette adapter things at Wal-Mart for $4. It is my most important car accessory. Without it, I’d be driving in silence and I can only have so many deep and existential conversations with myself over the course of the week. Music takes the tedium out of driving and the cassette adapter allows me to blast Primus’s “Jerry Was A Race Car Driver” while going down the highway and I need that in my life. What car accessory do you need to have in your car? Sound off in the comments. What’s Your Most Unsettling Moment In A Car?